Dunno How Much Time Rule: The Ferrari F333E Lizard. 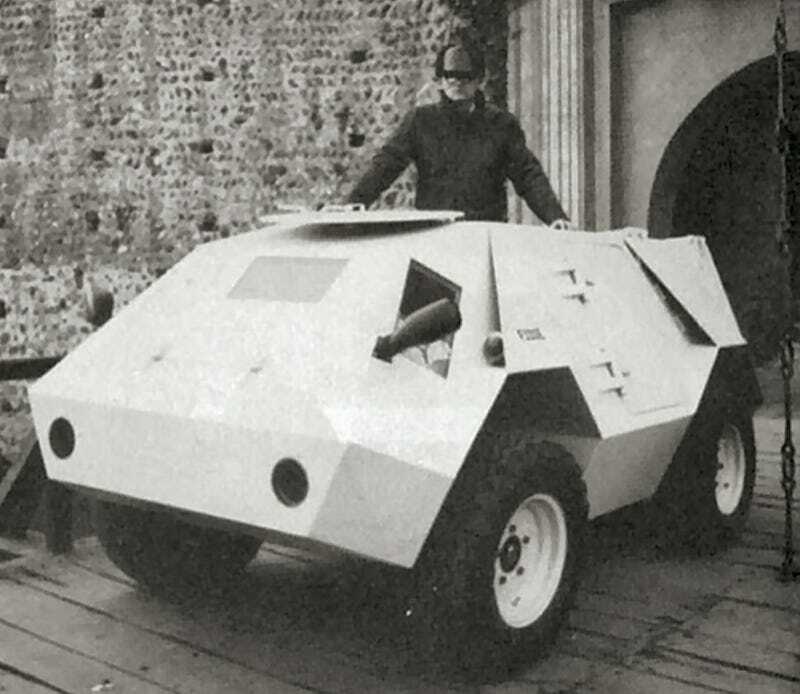 The Ferrari F333E Lizard was an odd little vehicle, it offered sports car performance with armored protection and special operations capabilities; had a reasonable price (one could buy several "Lizards" for the price of one Ferrari's top-end sports car) and provided a status symbol for some third-world dictators. Unfortunately it did not make any waves with the military, because of Ferrari's "absolute lack of experience in the military sales market".